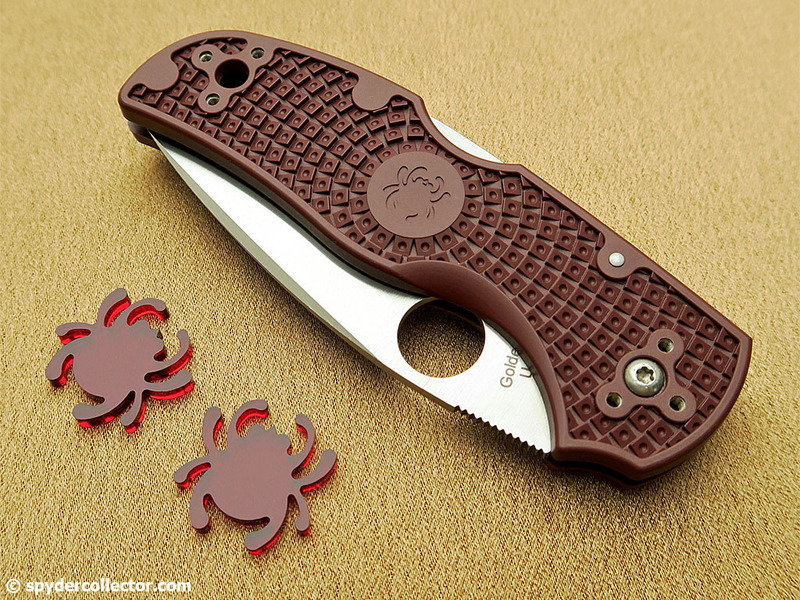 As an avid Spyderco forumite, I always try to get any special edition forum knife that’s offered. The 2015 version was, again, a very nice sprint run variation of the Native 5. This was my first lightweight Native 5 and I am very impressed with it. Not only did this knife ‘solve’ my most important objections to the Native design, but the production quality was very impressive. I’ve been using and collecting Spyderco knives for more than 15 years, and I didn’t think I’d get this impressed about a new design. 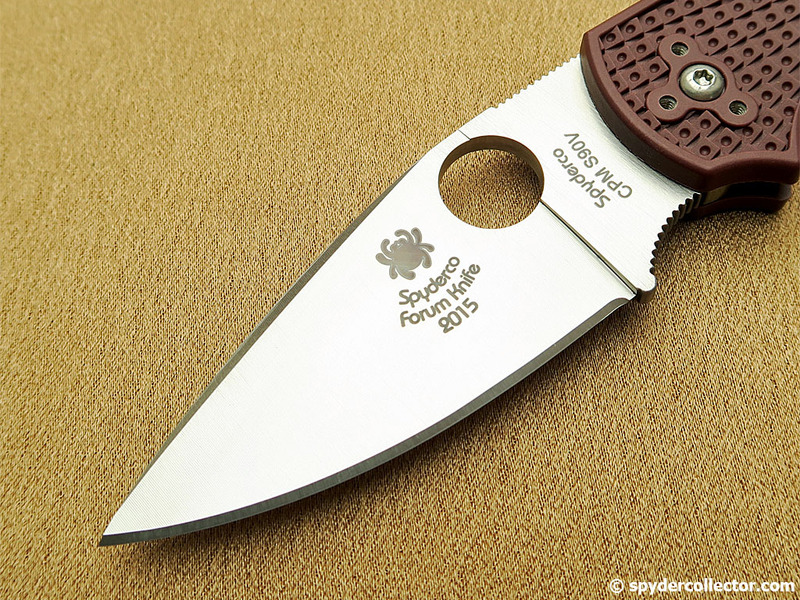 For many years, Spyderco has stuck to the Native design for their forum knife. 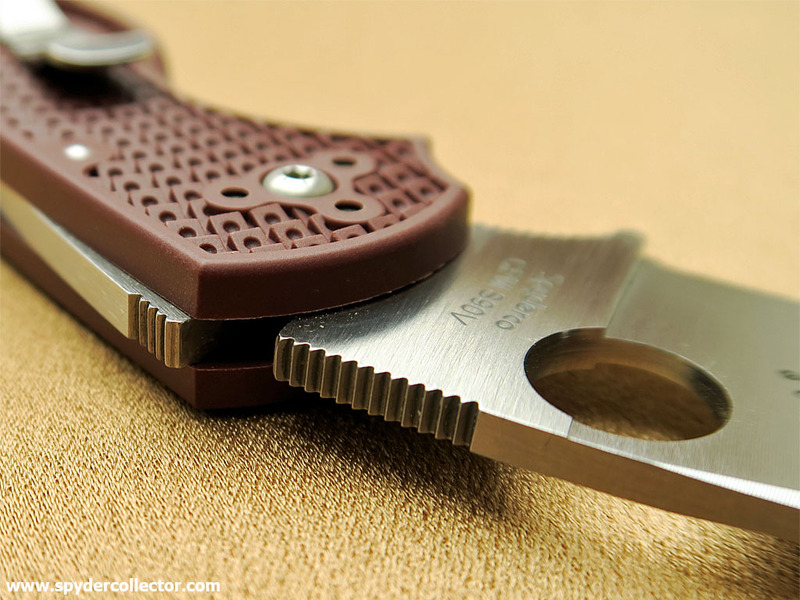 The 2015 forum knife was the new Lightweight Native 5. 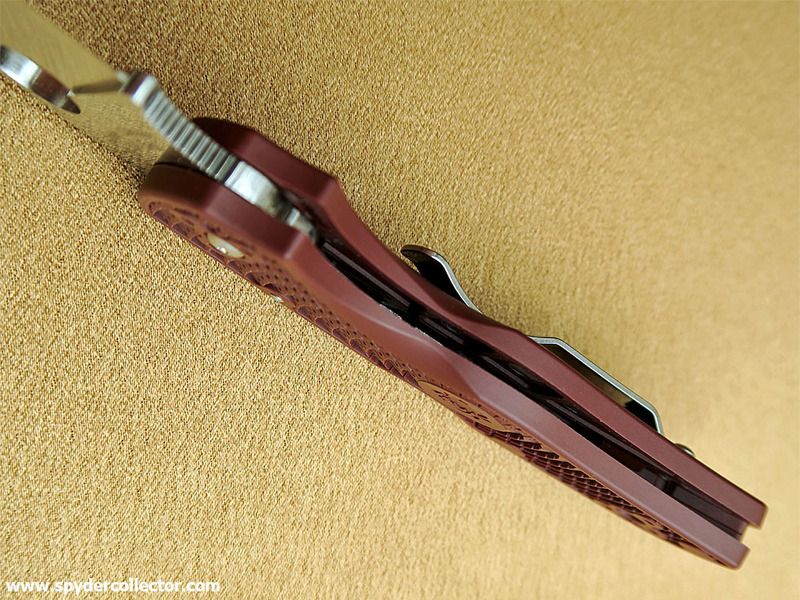 What makes this knife unique is its maroon FRN handle, S90V blade and the cool rounded laser engraving on the blade. These features make it a very collectible knife. However, the Native design has always been a working knife and not so much a ‘collecting’ knife. 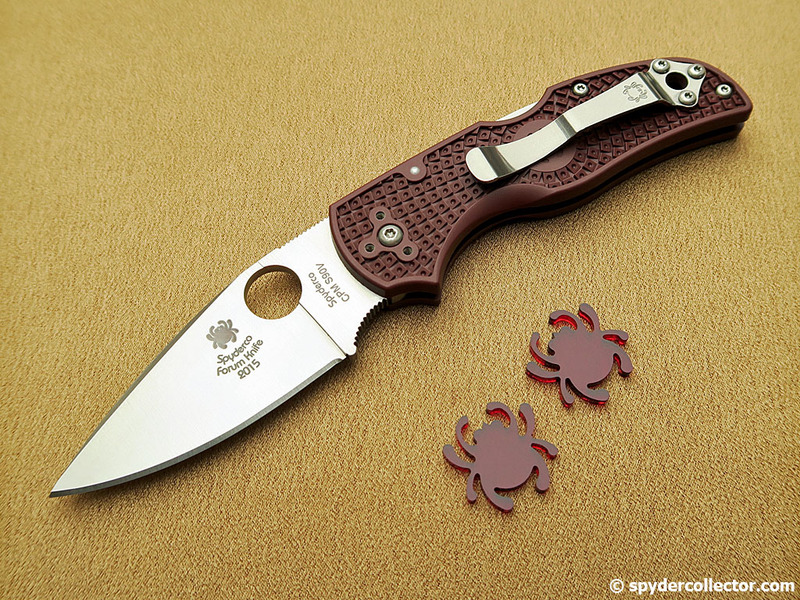 Spyderco’s not-so-subtle hint at the Native’s ‘work ethic’, is that they used a very high performance S90V blade. Playing with the knife for a few minutes told me everything I needed to know. To fully appreciate this -to me- new lightweight design called for prolonged pocket time. Since I’m left-handed I switched the clip and stuck it in my pocket for a few weeks. I didn’t cut anything that ‘hard-use aficionado’s’ would take seriously, just regular EDC-type chores that a suburbanite encounters. For the last two months, I prepared dozens of fruit snacks, pitched in with cooking to cut onions, tomatoes and potatoes for about 6 meals. I also opened many envelopes and about 8 packages. In addition, I broke down cardboard boxes to fill two small recycling containers, dug out one splinter and I cut about three loose strings. At the end of this period, the knife literally still shaved arm hair. S90V is impressive stuff, especially in a full flat grind with a nice toothy out-of-the-box edge. Carrying this lightweight was a breeze. 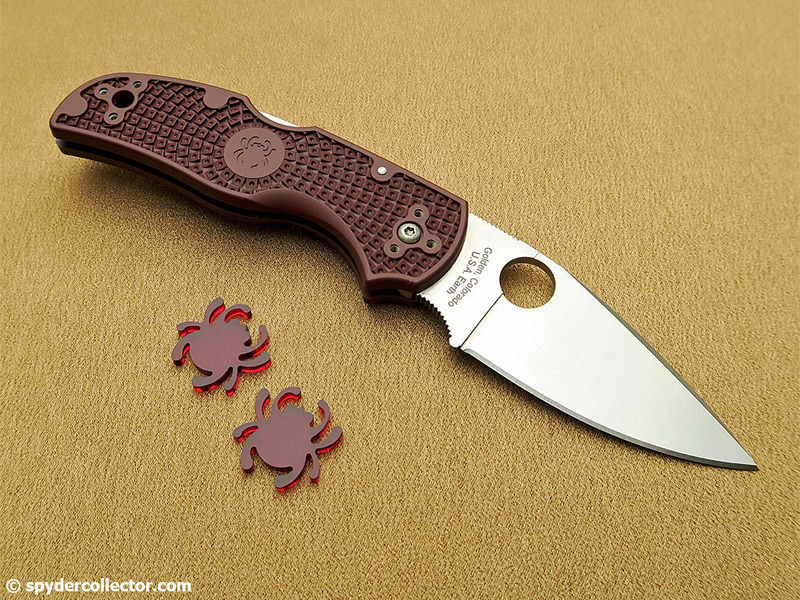 That’s not much of a surprise as many Spyderco FRN CLIPITs are extremely lightweight. What sets this Native 5 apart from the rest, is that full solid and sturdy overall feel. There are no liners, but working with the knife, it felt as solid as a folder with liners. This solid feel gave me plenty of confidence to stab thick cardboard and to twist the blade during longer cuts. I certainly wasn’t babying this lightweight folder. The Native 5 has much more friendly ergonomics, to me, than the previous Native designs that featured sharp choils. Using the knife in an inverted grip, i.e. edge-up or edge-in, was very uncomfortable. This excellent Native 5 pattern solved these objections for me. It’s almost as versatile to grip as a Delica, but the choil and jimping still allow you to solidly ‘lock’ the knife in your hand. The 2015 forum knife had no blade play in any direction. 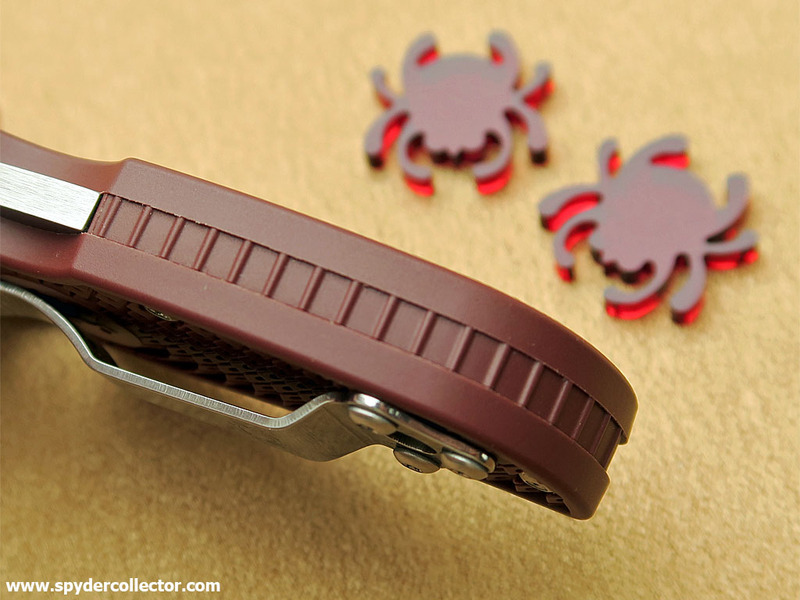 I feel the Spydercrew in Golden has zoomed in on making the perfect lockback; one that works every time and doesn’t require even a tiny bit of blade play. The jimping on the hammer of the lock is a nice touch for added grip security. 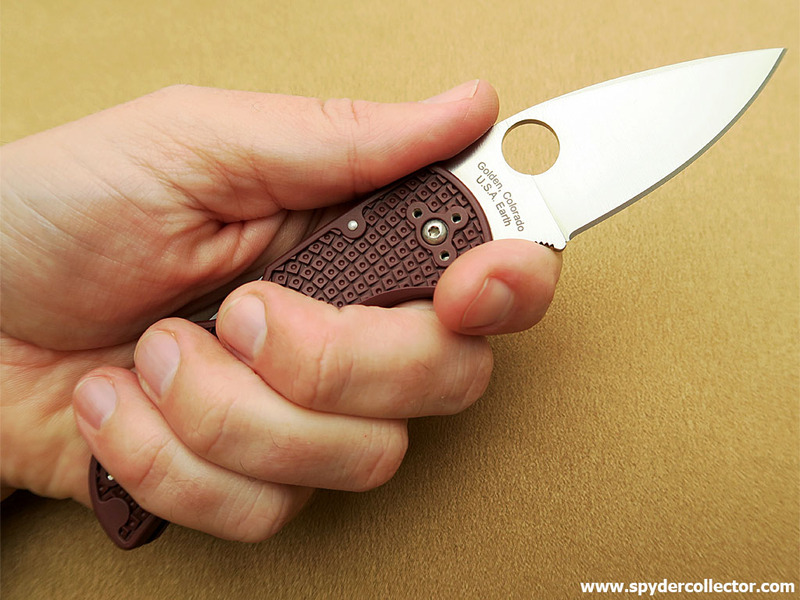 Although I love my Military and appreciate that many consider it a longtime flagship of the Spyderco line-up, I think the Native 5 should be crowned the current Spyderco flagship. It’s a solid working design that features many practical design refinements; high-tech and high-performance materials, solid top-notch production, and it’s a ‘native’ of the Golden plant. 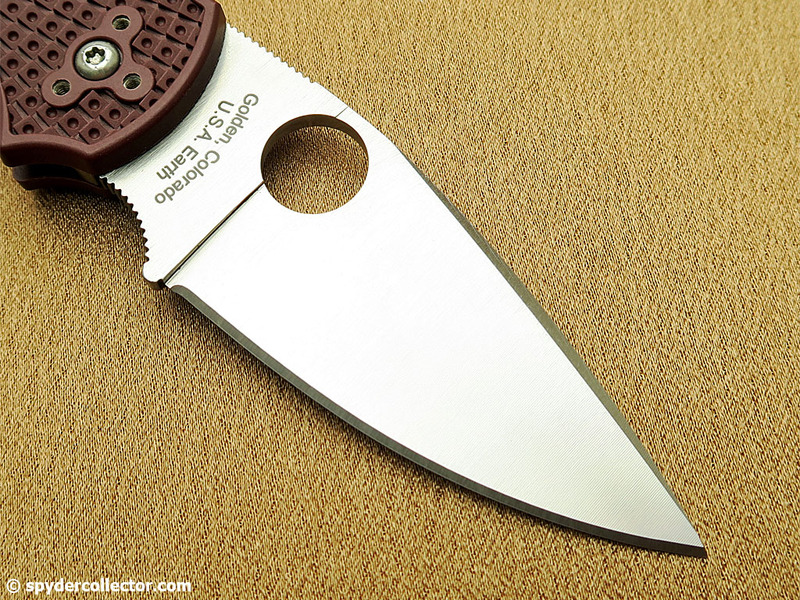 I usually recommend a Delica 4 when people ask me advice for their first high-performance folding knife. These days, I’ll add a lightweight Native 5 to that advice! This entry was posted on Saturday, November 21st, 2015 at 6:51 pm and is filed under Collectibles, News. You can follow any responses to this entry through the RSS 2.0 feed. You can leave a response, or trackback from your own site. I totally agree with you for the FRN (lightweight) Native 5 !! I have the S35VN and I’m really impressed with everything about this knife !! The no blade play is awesome ! The look of the blade, love it ! I won’t have been able to write so much about it like you as it’s not my own language. 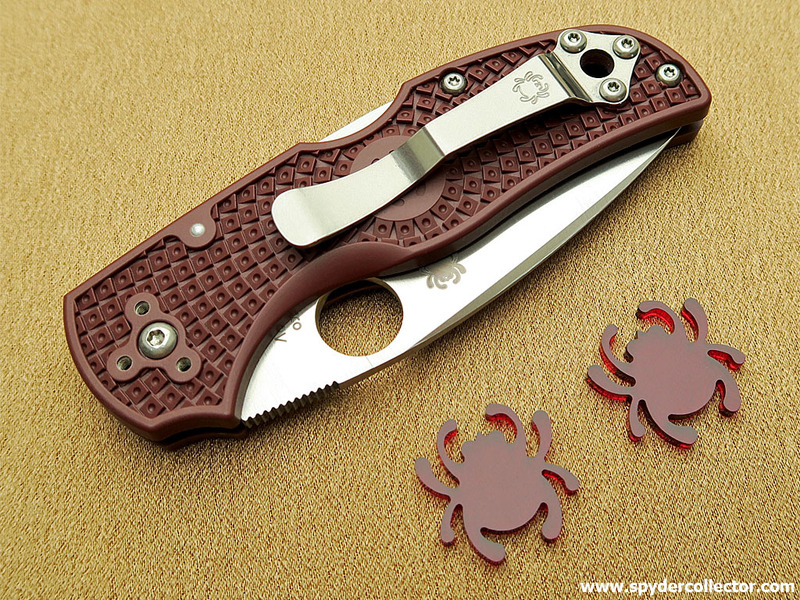 Thank you for reading and sharing your experiences with this awesome Spyderco design! You’re more than welcome sir ! It was only few words. I just got mine the other day and it’s beautiful. This one is going to stay boxed in my collection. I’ll keep carrying my N5 S30V until the new Blurple ones come out soon in S110V. The Native is just a fantastic model. The old generation Native was always one of my favorite carry pieces because of the light weight, plus the look of the hollow grind & swedge on the blade. When the more recent versions came out with liners and G10 I wasn’t as taken with it. I know that in some regards it was an improved knife but the simpler linerless FRN model still trumped it for me. But when they did this forum knife with FRN handles and such a high performance steel it was great. I’d always wanted to try S90V but never really felt like stalking pre-orders for a sprint run or laying out big bucks. The value for money on this Native is amazing to me.